Zoonosis and the spread of infectious diseases. The clinic provides primary healthcare to almost 3,500 patients every year, 40% of whom are children and babies. Healthcare provision is free to the local San Bushman community in this remote area. The Lifeline Clinic is entirely funded by voluntary donations and run by a full time Nurse and a Doctor, at present Wild Medicine alumni, with further support from short-term foreign volunteers.Book now …..
Dr Rudie and Marlice van Vuuren, started the award-winning N/a’an ku sê Foundation in 2006 to protect and improve the lives of the people and wildlife of Namibia. Our vision is an Africa where humans and wildlife can live and thrive together. Our mission is to conserve the land, cultures and wildlife of Namibia and rescue species threatened by an ever-shrinking habitat. Set in the stunning African savannah, the award-winning, beautiful N/a’an ku sê (Naankuse) Lodge in Namibia offers an experience that you’ll never forget and serves as our base. Examining in detail zoonoses this is gathering is perhaps one of the ‘most unusual and rewarding medical courses in existence’. Based at the justifiably famous award-winning N/a’an ku sê Foundation just outside of Namibia’s capital Windhoek, and within easy reach of the international airport. Time will also be spent at the San Bushman Clinic in the north of the country and in the mesmerising Namib Desert. 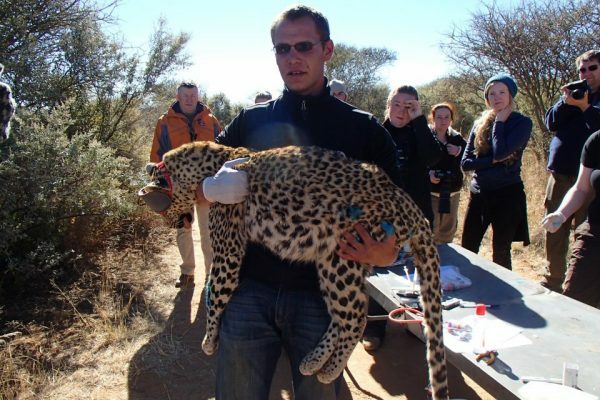 Specific focus is placed on aspects such as: Human wildlife conflict | Emerging technology to reduce human wildlife conflict | The role of habitat destruction on the emergence of zoonotic diseases | Specific animal diseases and wildlife anaesthesia | Specific human diseases (zoonoses) and treatment thereof.